Ideas for Scrapbookers: Super Scrapbook Styles from Readers! Happy Friday everyone! Today I am sharing some great reader's page that show off their scrapbook styles. If you remember on Friday I featured some of the contributor's scrapbook styles and asked for reader pages. You can see that post here. I am featuring those readers pages today with some styles that I haven't posted before.. soo cool! First let's review the names of the styles that the contributors and I came up with! Let's get to our first reader's pages by Gloria who defines are style as Classic, Layered, and Graphic. Here are her fabulous pages! As you can see Gloria style is beautifully done with a classic look for both of her pages with photo overlapping and great placement of her items! Her style also contains lots of paper layering. 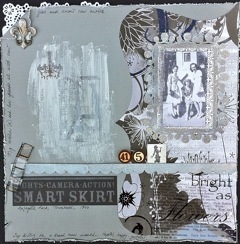 You can particularly see this with the second layout, check out how pretty the layering is! The third part of the her style is graphic which is seen more in the first layout. I love the flags coming down and the graphic influences! The great thing about having a style is you can change it up as Gloria did. Gloria has a fabulous and fun style and it shows! Our next reader is named Fran and her style is Vintage/ Retro Chic. Let's see a few pages to a get a feel for her style! When deciding on a style it was a apparent that Fran was Vintage AND Retro Chic. So, we combined the names to come up with a new style. Fran displays a lot of vintage influences in her pages. 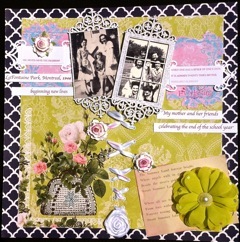 Check out the old classic photos she uses and embellishments and other items like classic roses, scroll frames, and vintage letter. I really love the use of these elements. You can also get an idea of the retro influence in Fran's style in her first page with the use of and old police car and aqua with red polka dots. She also added some letters which fit more of the retro look. Overall I Fran has a unique style and beautiful style! 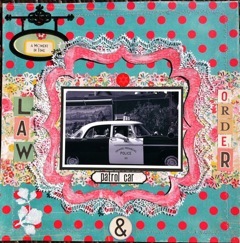 Please visit Fran's blog at http://paperinkme.blogspot.com/ to see more of her style! 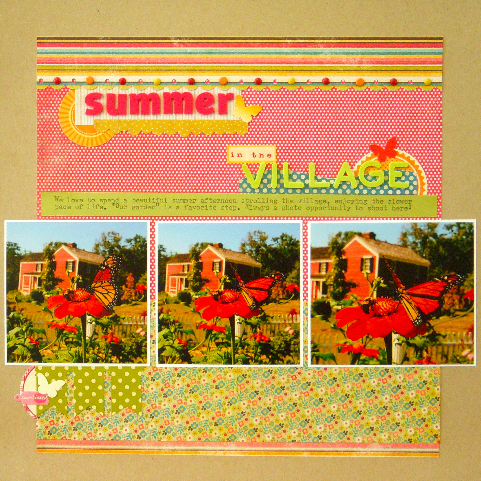 Lastly, I am sharing a scrapper named Sue Althouse who defines her style as Clean, Classic and Colorful! Check out examples which show off her style! Sue's style shows us that she does indeed have a clean style to her pages. She uses wonderful clean lines to make her designs stand out. Sue also has a classic style which makes it timeless through the years. You can see this with elements like using squares blocks and photos lined up, stuff that always stays trendy. She also loves to use colors and it shows. Check out all of the bright colors that enhance her wonderful designs. It really makes for beautiful pages. I really like her style and creates gorgeous pages with it! 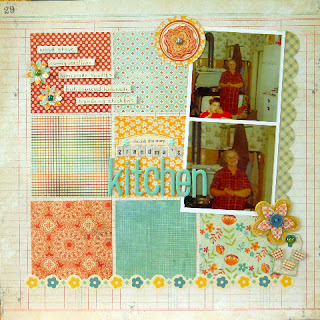 Please visit Sue's blog here http://suealthouse.blogspot.com/ for some more great inspiration. 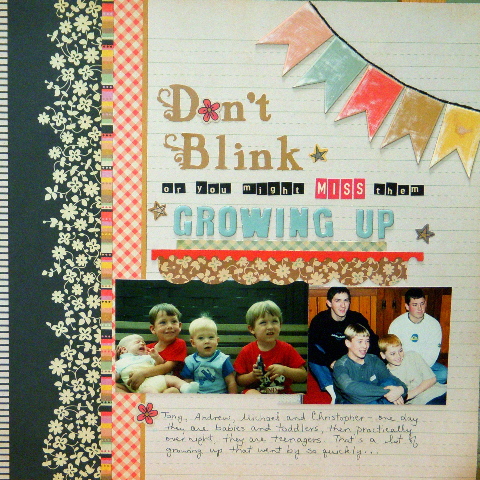 I hope you have enjoyed seeing some more scrapbook styles and examples. I sure have! Great layouts! I love seeing how each person defines her style. Wow, what wonderful layouts! I am honored to be included with these other two ladies. Thanks so much for the lovely write-up! Loved seeing Sue and Fran's styles of scrapping. Feel like I'm in great company today. Thanks for featuring a couple of my LOs. Style is such a unique thing...it just takes us where it wants to go, and takes a while to be defined. I feel very honoured to be the Retro/Vintage "chick" featured with such talented artistic companions today. 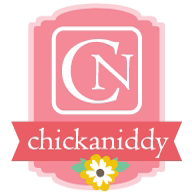 Thanks so much for sharing your pages and your styles with us ladies. Your layouts are all AMAZING! Amazing pages everyone! Thanks so much for sharing them with us! This all are wonderful creation. I like all of them.that's give a nice idea to make it.